At Frisco Spine, we always take the risks of surgical spine treatment seriously. Our goal isn’t just to address a spinal condition or neurological disorder, but to ensure patient wellness in the immediate recovery period and the years ahead. This is why we take all matters related to surgery very seriously. One of our major concerns after surgery is the prevention of serious blood clots. With that in mind, let’s consider two serious conditions related to post-operative recovery and wellness: deep vein thrombosis and pulmonary embolism. Deep vein thrombosis refers to blood clots that form in the deep veins of the legs. While many kinds of medical conditions can cause of contribute to deep vein thrombosis, it’s a common complication following many surgeries. Deep vein thrombosis is commonly caused by a prolonged lack of movement, which is common after surgery or as a result of a prolonged stay in a hospital. One of the major dangers of deep vein thrombosis is a pulmonary embolism. This occurs when a blood clot in the deep veins breaks loose, traveling in the bloodstream to the lungs and lodging there, blocking blood flow if the pulmonary arteries in the process. This can be potentially life-threatening if not addresses as soon as possible. Common signs and symptoms of deep vein thrombosis include swelling of a leg and acute feelings of pain. In rare cases, both legs may be affected. Patients should also note that symptoms of DVT may not occur even though a clot has formed in the deep veins. 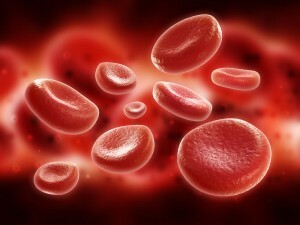 Blood Thinners – The use of blood thinning medication helps reduce your body’s ability to form blood clots. Clotbusters – These kinds of medications are administered by IV and break up blood clots. Filters – A filter may be surgically placed into a large vein to prevent a clot from getting lodged in the lungs. Compression Stockings – Wearing a leg stocking after surgery helps prevent swelling and may help address the formation of clots in the process. The best way to prevent deep vein thrombosis after your spinal surgery is to avoid sitting still for too long. Patients are advised to try walking and moving as soon as they are able. This improves circulation and prevents the formation of harmful clots in the process. Your pre-op and post-op instructions before spinal surgery help prepare your body for the healing process. Be sure to follow these instructions very closely. Not only will they help you avoid DVT, but they can also prevent many other complications and reduce the severity of the side effects you experience after surgery. To learn more about the side effects of spinal surgery and what you can do to ensure proper recovery, be sure to contact our team of experienced brain and spine surgeons today. The team at Frisco Spine will work with you to ensure restored health and mobility with as few complications as possible. Thoracic Spine Surgery: When Is It Necessary?